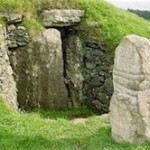 Anglesey is rich in ancient monuments and prehistoric remains. The first evidence of humans on the island comes from the Mesolithic period, about 7000 BC. From that time onwards, it is clear that various tribes have occupied Anglesey and erected numerous stone burial chambers, standing stones, and hill forts. Din Lligwy dates back to the 4th century and is surrounded by a stone wall. 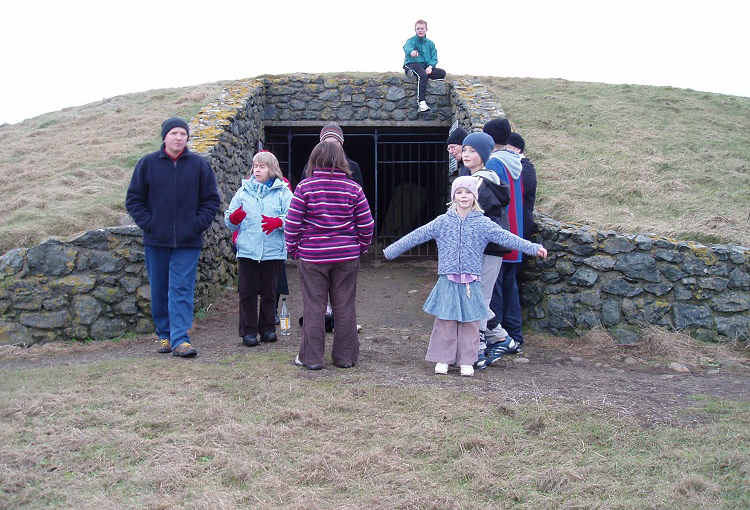 There are two circular stone huts within the enclosure and a further seven other buildings. Many huge stones have been used in the construction of these buildings. 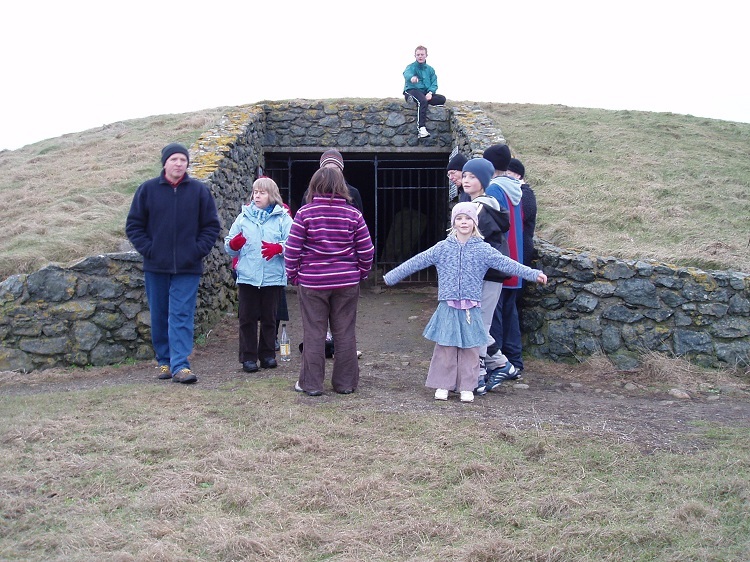 This burial mound was built around 2500BC and covers a cruciform shaped inner chamber. A large concrete dome protects the inner stones and the gate is locked but you can see inside. 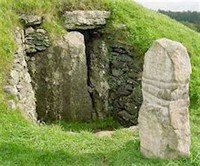 The security is to protect 5 original inscriptions on the stones: 3 are at the junction of the passage and chamber and 2 are at the back of the side chambers. These still bear their original inscriptions. The name of this cromlech always amuses us (New House) as it is thought to be at least 6000 years old! About 20 round structures, with low walls of dry stonewalling combined with larger upright boulders, can be found at the foot of Holyhead Mountain. Excavations in the 19th century found artefacts and coins from the Roman period but more recent excavation and radiocarbon dating has indicated that part of this settlement dates back to the late Neolithic and Early Bronze Ages. This late Neolithic burial mound dates back to 2000BC. 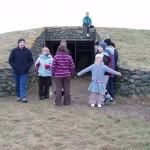 It was built in two stages, the first being a “henge” with a ditch and stone circle, followed at a later stage with a central stone chamber used for human burial purposes which was covered in a mound of soil and includes a freestanding pillar. Human bones were found in the chamber, as well as flint arrowheads, a stone bead and shells.